Save on our newest theme... On sale now! Get yours now! What theme did you purchase for this installation? 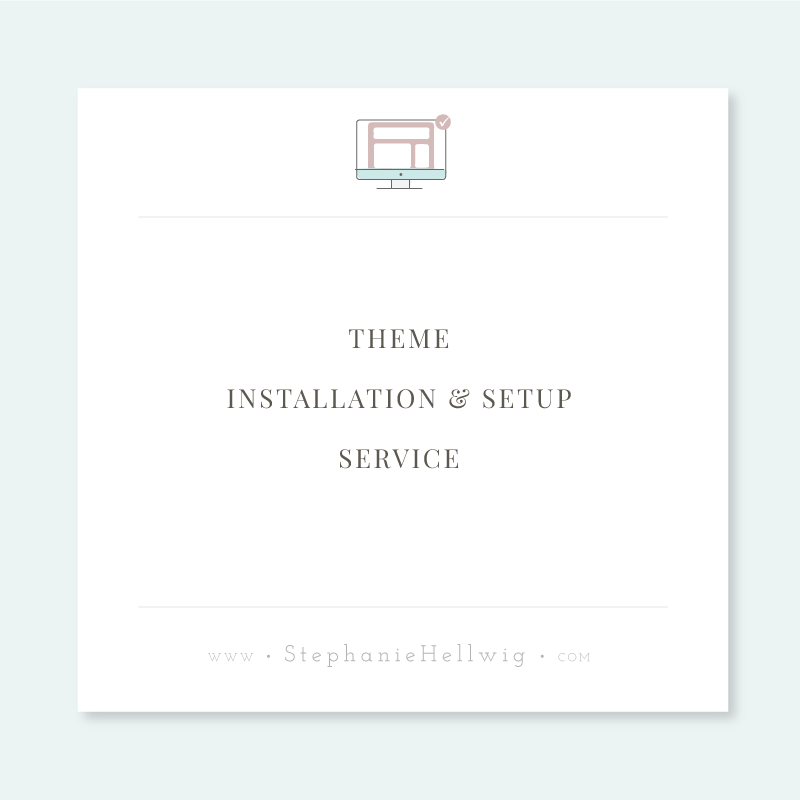 Please upload any files to be used or referred to for your theme set up. If you would like your custom logo installed upload it here. Please provide your specific requests for color changes. You can say things like "change black to blue", "red to green", etc. You can also provide HEX codes if you know them. Please specify if you would like us to make the judgement based on your logo colors. This service does NOT include any revisions or modifications - please be very specific with what you'd like. Please provide the names of the Google Fonts you would like us to use. Would you like the Demo Content you see in the theme Demo added? Please choose "I don't think so" if you already have a blog. The demo content is used as a place holder for visual references when setting up widgets and navigation menus if you have not added content yet. Please list your social media links for any social media platforms you would like us to link to. A self-hosted WordPress.org installation is required for all our services. We do not set this up for you. WordPress.com sites will need to be migrated to WordPress.org before we can install a child theme for you. Please double check that this is accurate, so we can be sure to get you up and running in 48 hours! Our semi custom package does not include any revisions or modifications once installed. We will use the colors, fonts, graphics, and specifications provided above. This is not for a complete custom design or any further customization beyond what is specified above. 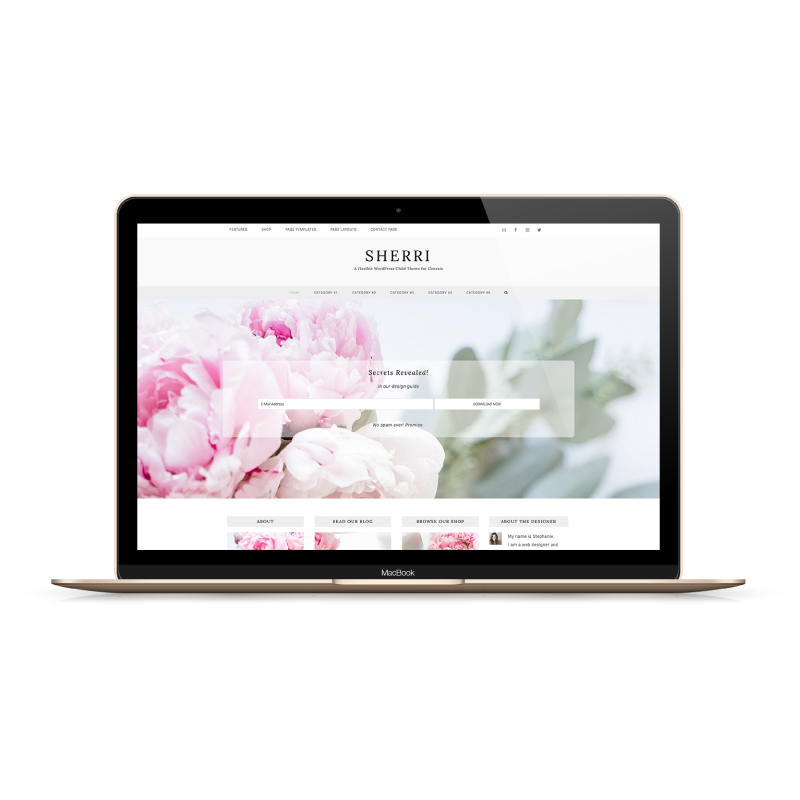 We will set your site up to look like the demo site of the theme you have selected with your color choices and logo/header provided and upload demo content if you have that option checked above. Once payment has been received we will be in contact to place you on our schedule. We will try to have your site installed within 48 hours from scheduled time on business days, not including Saturday or Sunday. If you are totally new to WordPress and need help familiarizing yourself with the administration panel, don't worry! We are happy to offer a 40 min live training session to give you a jump start and answer your specific questions. Add on now for the Discounted Bundle Price!